Here we are at the end of the year. 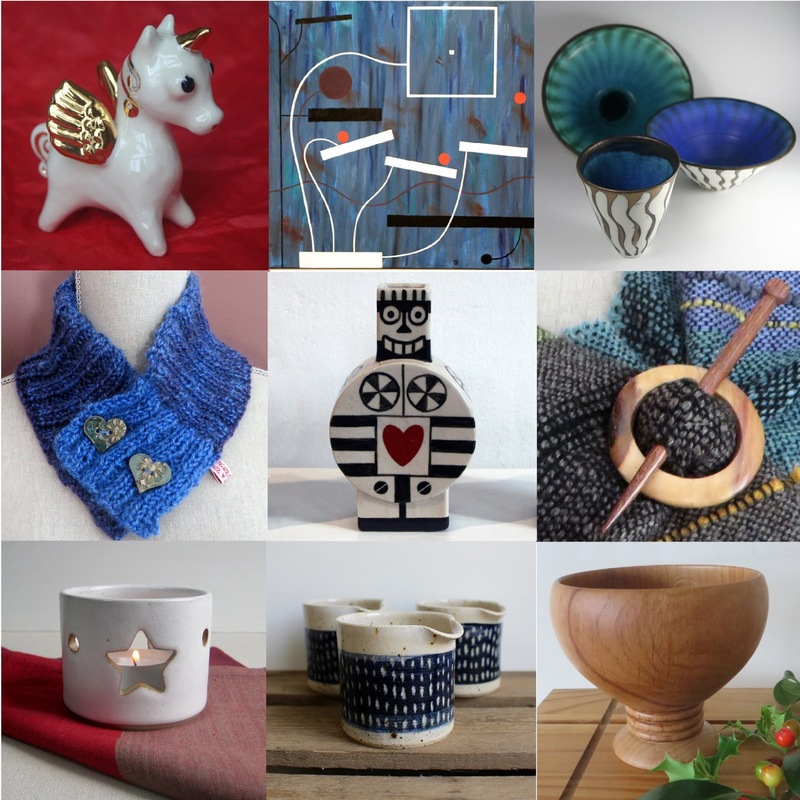 Thank you to all for dipping into our blog, we hope you enjoy the posts and to all our customers for your support and purchases whether at our exhibitions or online shops. on Thursday 22nd to Tuesday 27th November. Open daily 10.30am to 4.00pm. This year for those of you not on the Isle of Wight we are also offering some special prices on selected items in our Etsy shop in "Cyber week on Etsy" from 20th to 26th November. 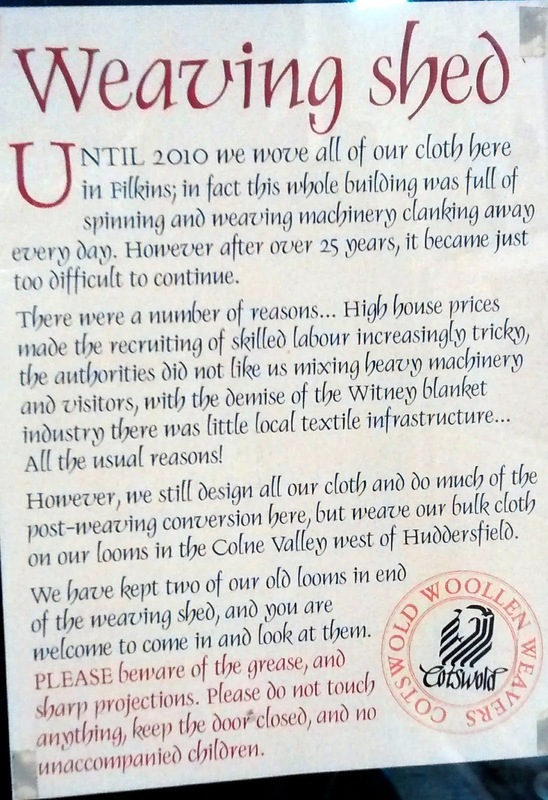 Just click on our link to our Woollen Tree shop. 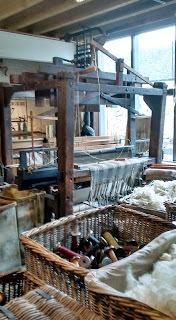 Warp - the threads stretched on the loom. In this photo you can see the warp threads being loaded this is called dressing the loom. On my Ashford rigid heddle loom I thread the warp directly on the loom using a free standing wood peg to hold all warp wraps. 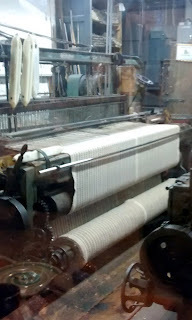 I thread each one through the heddle as I go. 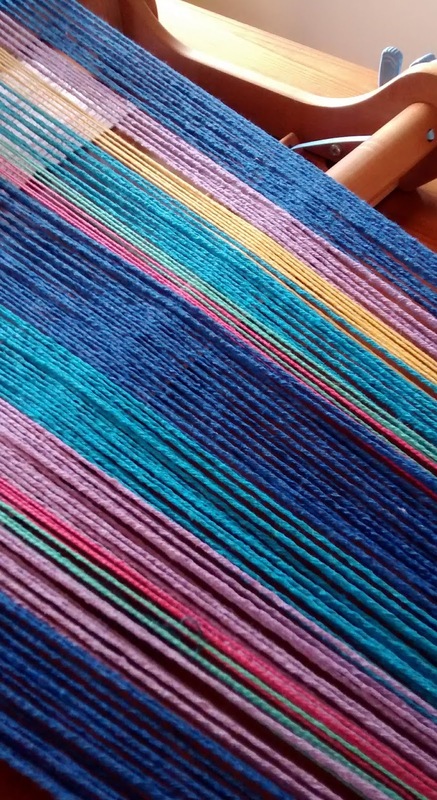 It's a great way of mixing and experimenting with warp stripes. 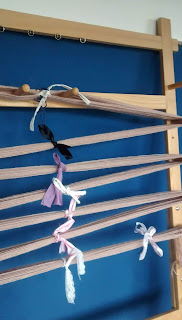 For my Saori Loom I like to make my own warps (even though you can purchase ready made warps for this make of loom). 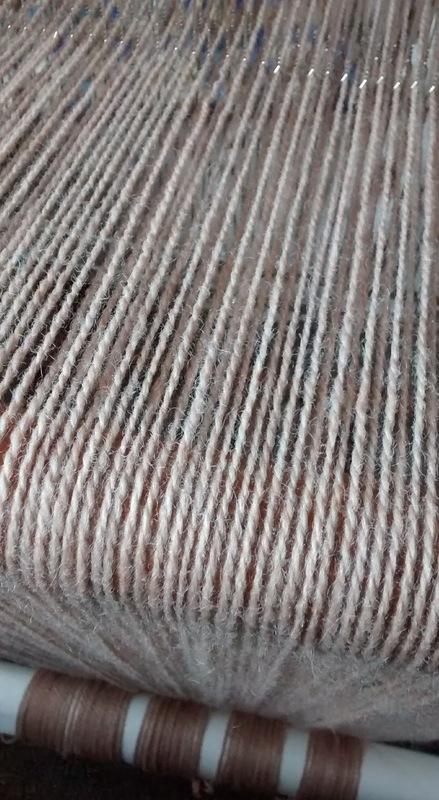 I enjoy creating cloth that is totally unique with my own warp patterns, colour choices, yarn, widths and lengths. 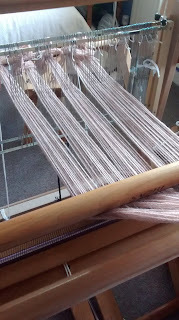 To do this I have a warping frame on which I make my warp first, before transferring it to the loom to be threaded up. 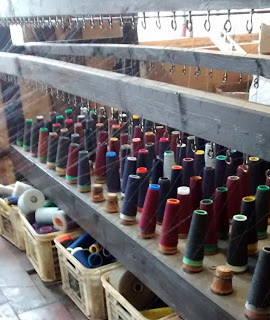 It is a slower process but Slow Cloth is just that, it take time, weaving knowledge with purpose and love for the craft. 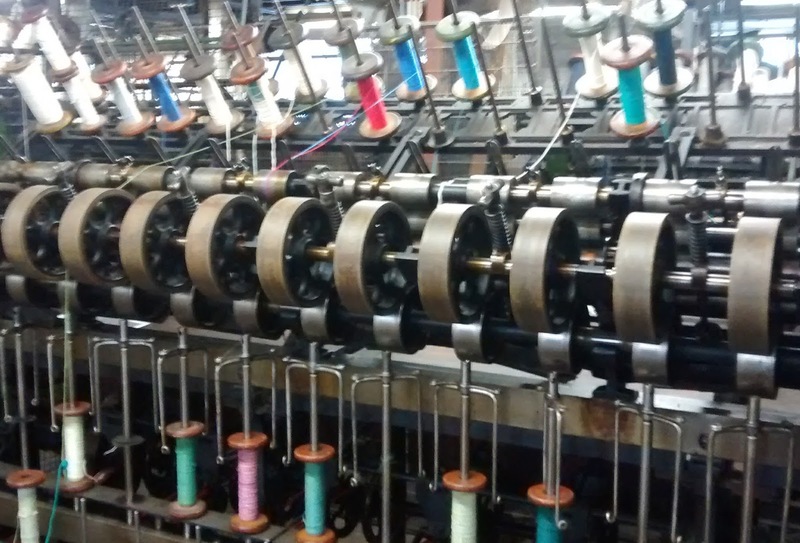 Here is a close up of the warp threads. 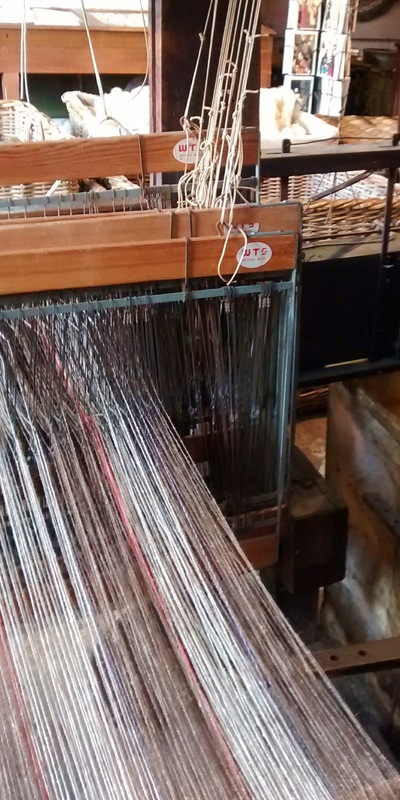 Each warp end is individually threaded in the reed. 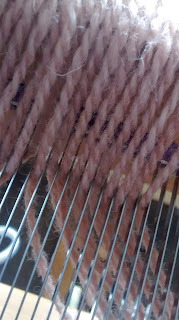 Here you can see the heddles are all threaded too. 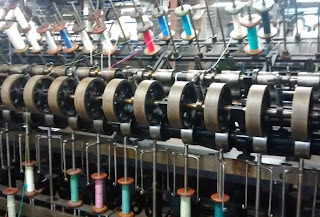 I'm ready to wind the warp on to the roller. 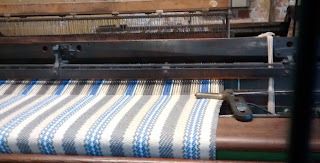 I have a 6 metre length which is kept under a light tension as I slowly wind it on to the loom. When all the length of the warp is on the roller, I adjust the loom until I'm happy with the evenness and tension of the warp. 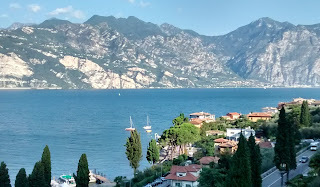 Back from Italy, we spent a few days in Verona and then went up to Lake Garda. 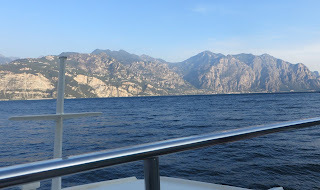 We had a lovely holiday. 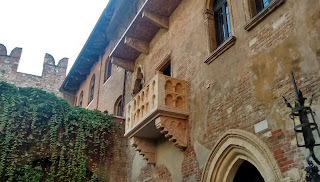 Verona is a beautiful place and with so many things to see.We visited all the tourist spots. Below a photo of the famous Juliette House. Our hotel was a minutes walk from the Arena- the Roman Amphitheatre, very central to all the sights so great for us as we could walk and explore. Now you know me, I'm always on the look out for anything yarn related and a little search online before we went walking meant we could explore the quiet streets and tucked away places where the residents of Verona live and find this beautiful yarn shop! 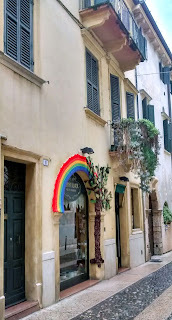 I love the yarn bombed window with a rather lovely woolly tree and rainbow design. Inside such a warm welcome and some lovely quality yarns to choose from. 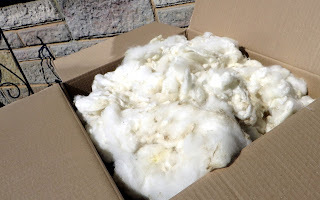 I treated myself to a few balls of Italian wool. After a good few days of walking and enjoying Verona with plenty of stops for coffee and gelato I might add!! We headed up to our next hotel on the banks of Lake Garda. 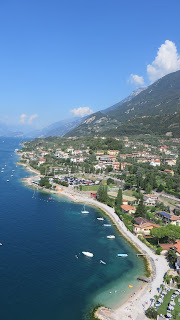 Here we spent a wonderfully relaxing time swimming, sun bathing and exploring the little towns. One day we took the ferry across to Limone. 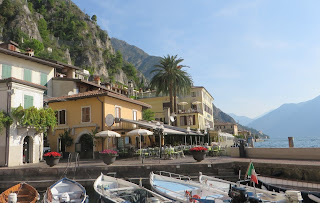 It was market day and we had been told it would get very busy, so we took the early ferry, brilliant as being "early birds" it was only us and another couple on the crossing! 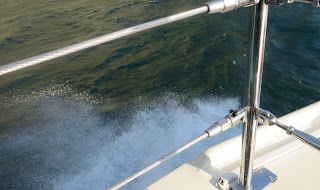 We sat at the bow, it was a breezy morning and quite choppy so really good fun with splendid views across the lake. Limone is such a pretty harbour with lots of lemon groves. 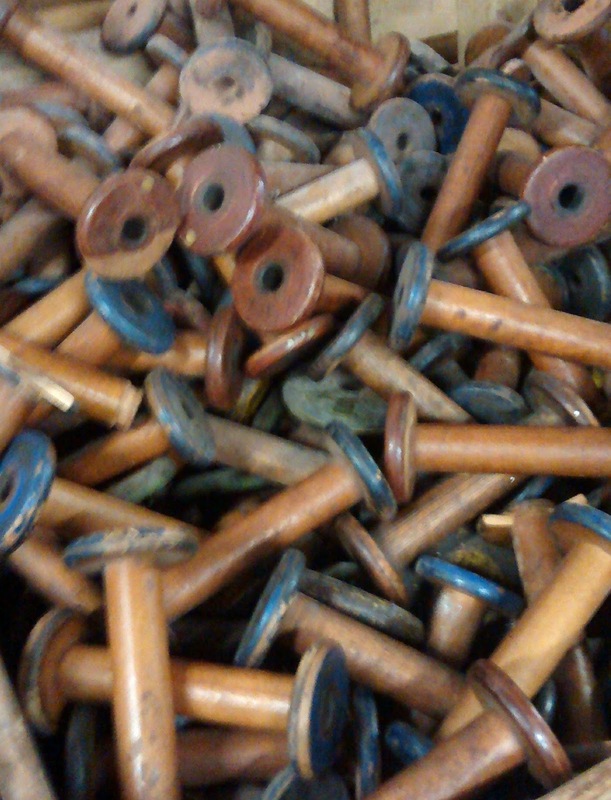 The market was vibrant. 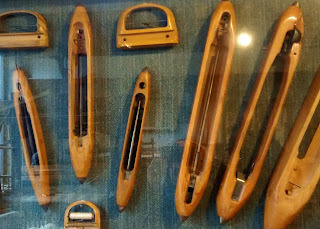 There was a sweet little museum which was full of amazing old photographs well worth a visit. 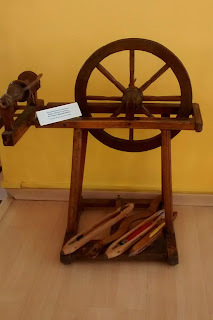 And in the museum I spied this very ancient spinning wheel displayed with some weaving shuttles. There was no information about it and the museum attendant didn't really know about it and I sadly speak very little Italian. 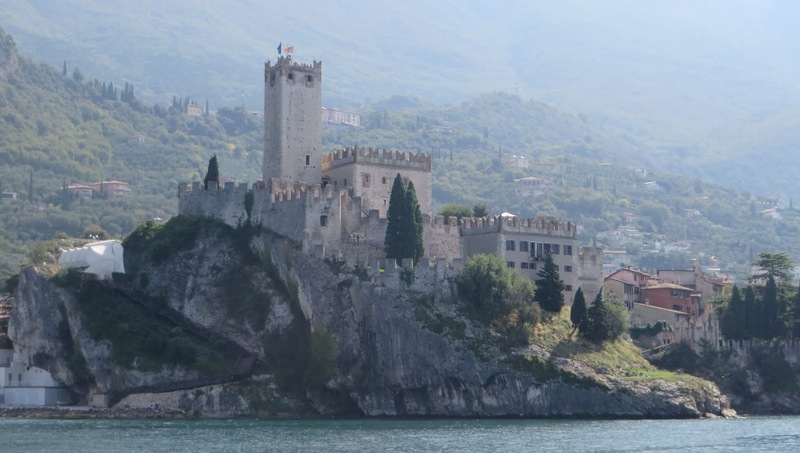 A view of Malcesine Castle on our ferry crossing back. 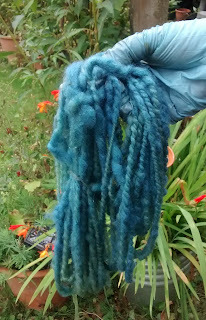 I had a very small crop of home grown woad to harvest. This Summer in my garden it has been very hot and sunny so I was unsure if I would be able to get any colour from the dye pot, but as you can see in the following photos I'm absolutely thrilled as I managed to achieve such a beautiful blue dye with the first dip! My woad plants have soaked in those sun rays! The process is done using the vat dyeing method. 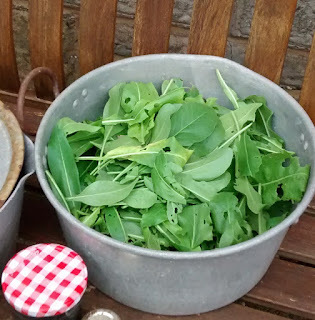 Pure magic -woad blue from simple green leaves. 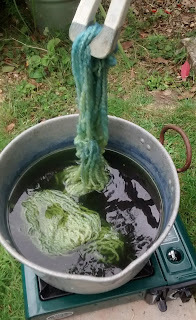 In this photo you can observe the wool beginning to change colour as I remove it from the dye bath. 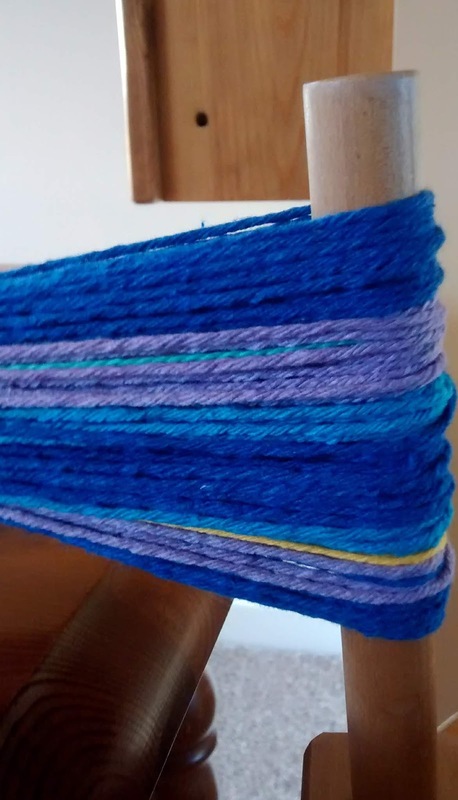 My Hand Spun Art Yarn looks really gorgeous, the soft twists and coils of yarn soaks up lots of colour giving me a wonderful deep shade of blue. 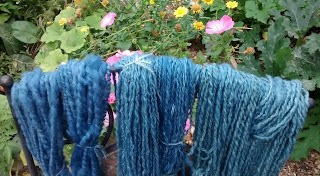 I continued to dip and dye some more skeins of various hand spun wool, each skein becoming a lighter shade as the dye bath became exhausted. Four in total. August here on the Isle Of Wight means Cowes Week with plenty of sailing going on, lots to see and do, enjoying the beaches and Island life with our family coming over to stay. Getting out and about under all these lovely blue skies. Now I do need to update you on my post of April this year when I told you about our dear old Mirror dinghy being in need of some serious attention and repairs. 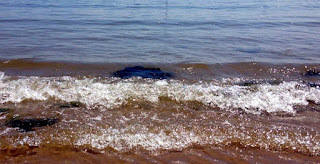 As she was unseaworthy in her present state we decided to let her go. Don't be sad- She was very keenly snapped up just as she was, taken to be decorated and dressed for a very important role as part of the Shanklin Float Procession full of happy smiling children. See photo below. A glory few days looking rather splendid. 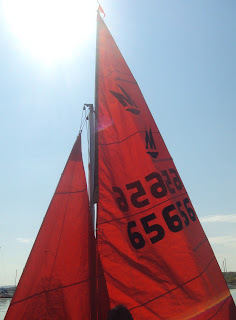 So yes I'm a little blue and miss her (someone else will enjoy getting her back on the water ). 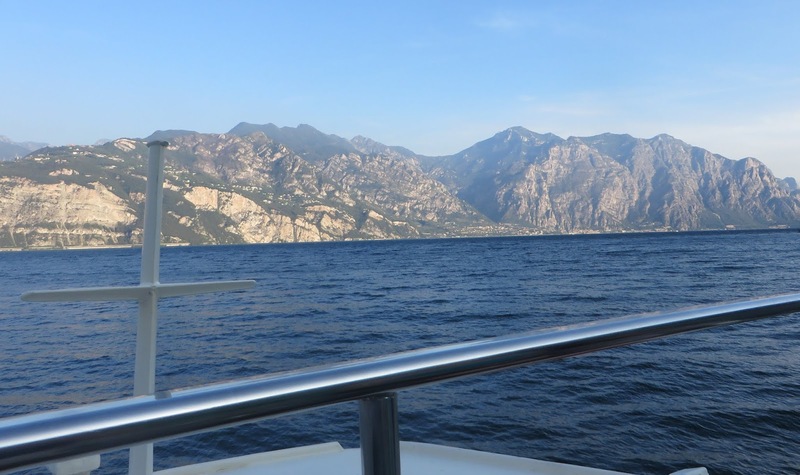 We still have Peewit and of course there are always new adventures awaiting and our blue sailing holidays in Greece to look forward. 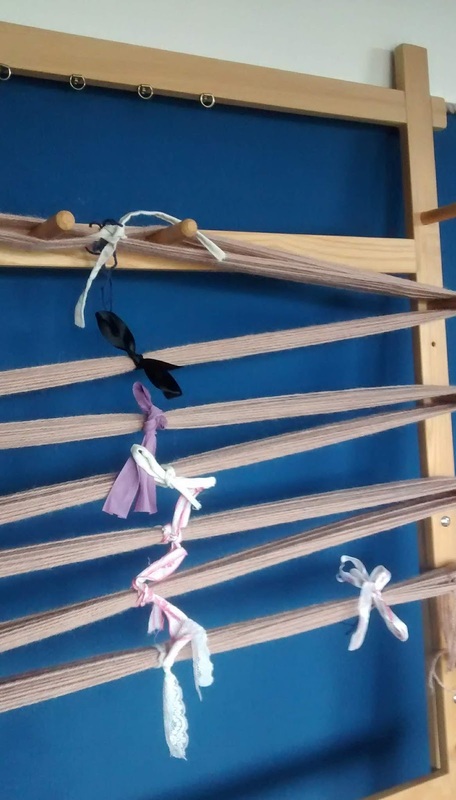 I have been busy weaving some cloth on my Saori Loom, enjoying the process, using my blues, purples and grey hued yarn to blend together in the warp and weft to make a soft subtle colourway. 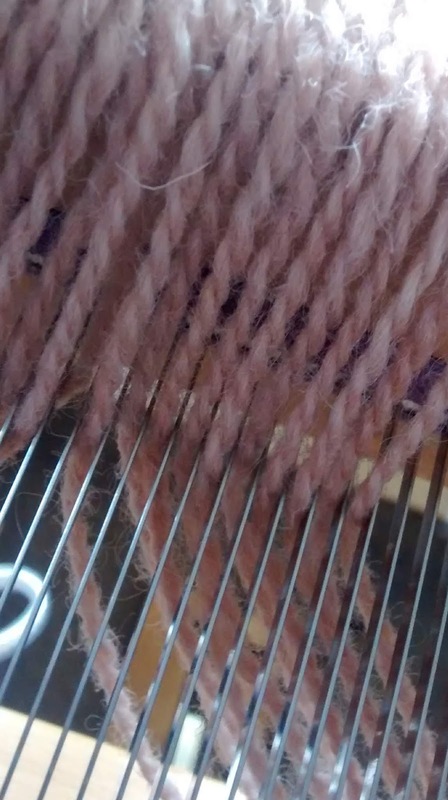 Adding handspun and hand dyed slubs as I weave to create texture and interest making my cloth unique. 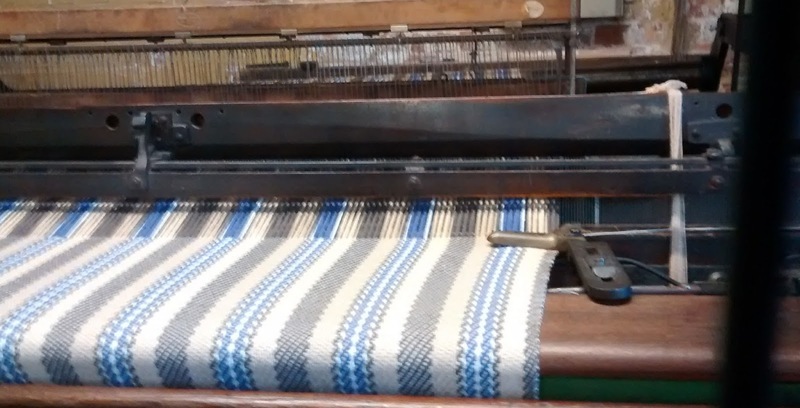 My weaving has a modern twist, but the method of weaving cloth is an ancient craft. 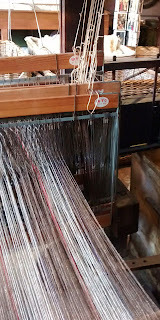 My loom is a modern style, designed by Misao Jo, but there are hundreds of different ways to weave and many different looms that have been made. On a recent visit to Cardiff we spent an enjoyable morning looking around St Fagans Museum of Rural Life. 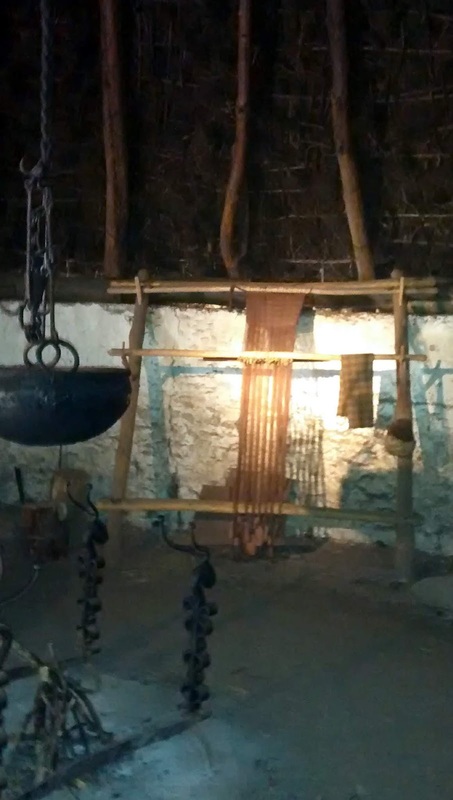 It is a work in progress and well worth a visit, unfortunately the weaving mill wasn't open for our visit which was disappointing, but here is a loom set up in a Round House setting. 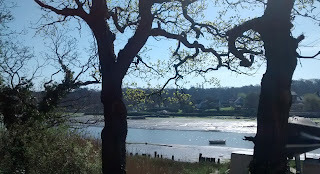 We were pleased to find while staying in the area the (forest and rivers) far Open Studios was on. 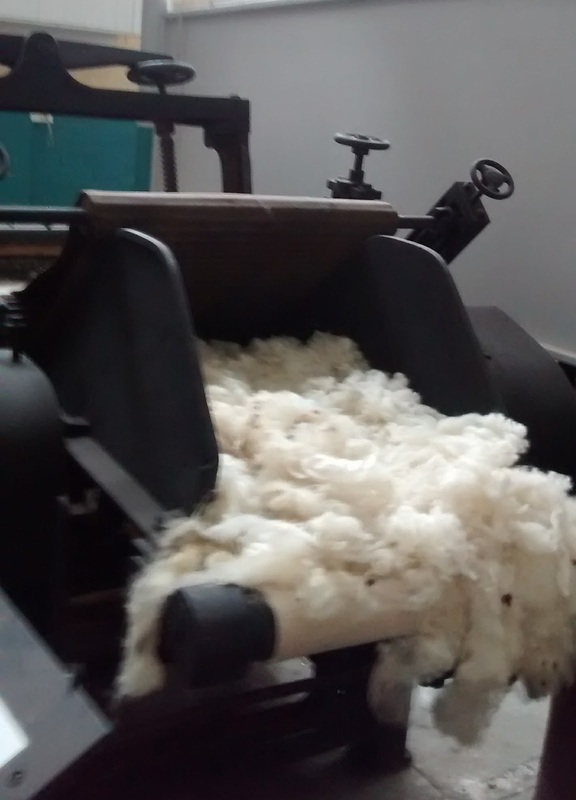 So of course we had a little tour of galleries and studios, chatting to the artists and makers and being inspired by the work produced, particularly enjoyed spending some time with two lovely weavers. Here are the links to their websites. Really beautiful work and it is so wonderful to see the energy, skill and enthusiasm of these talented young women. 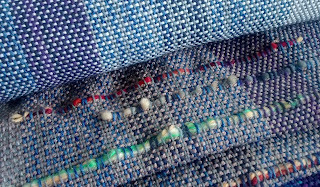 Weaving from the Ancient to the Modern is an absorbing craft, the more I learn the more I want to learn, to improve and develop my skills. 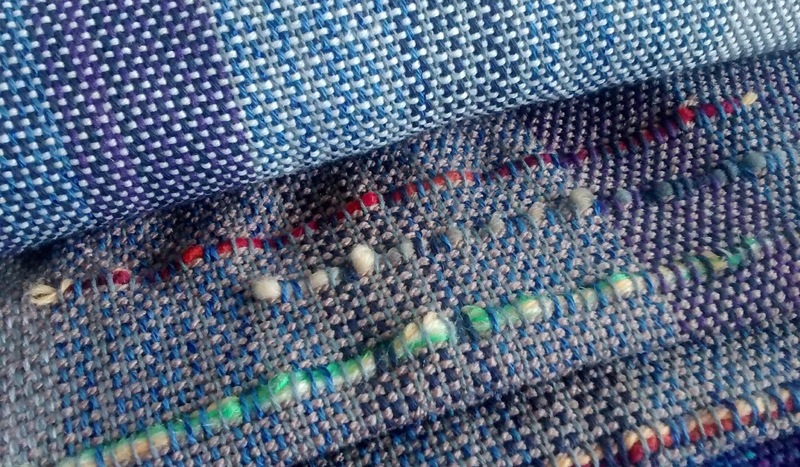 Hand weaving to make slow cloth - many hours, carefully made by hand and with thought and love. 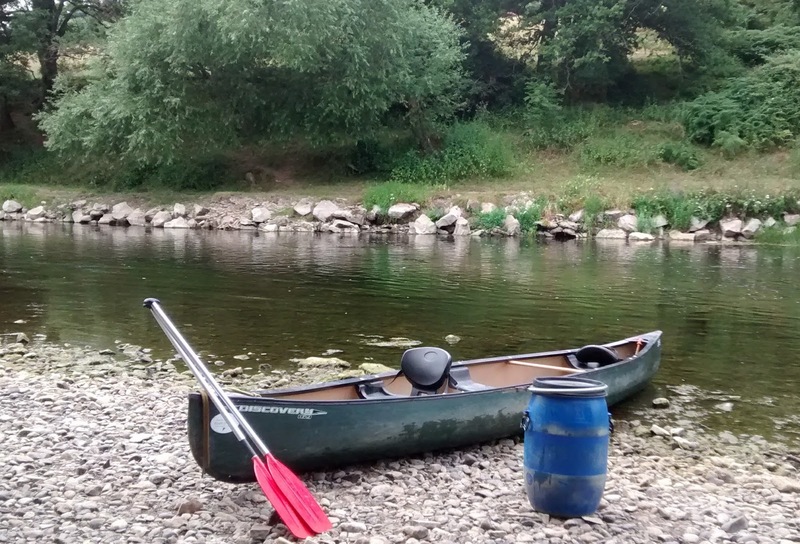 With the weather being so glorious Skipper and I just had to get on the River Wye again. We hired a canoe for the day, took a picnic and made our way gently down the river around 14 miles of meandering bends and sparkling shallow shingle banks, watching the fish jump, herons sleep, swans and geese glide and seeing the hundreds of damselflies in countless colours dance above the water's surface. 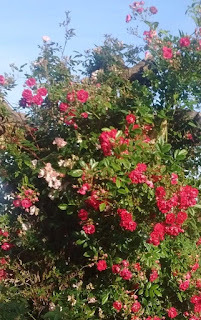 Well it's Mid Summer's Day today- the longest day of the year and it is promising to be such a lovely bright, sunny day too! I have lots to do, time to get outdoors to work and enjoy the weather. 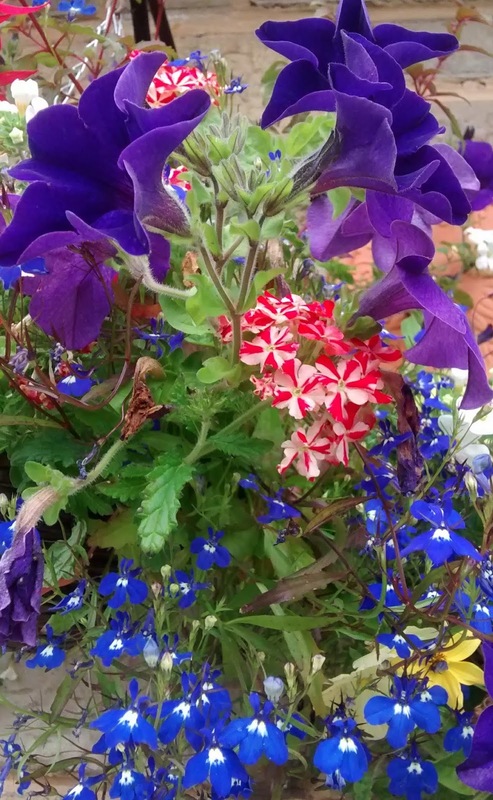 Taking my inspiration from the beach and our garden where everywhere is vibrant, colourful and full of energy. I have a Shetland fleece to work on. 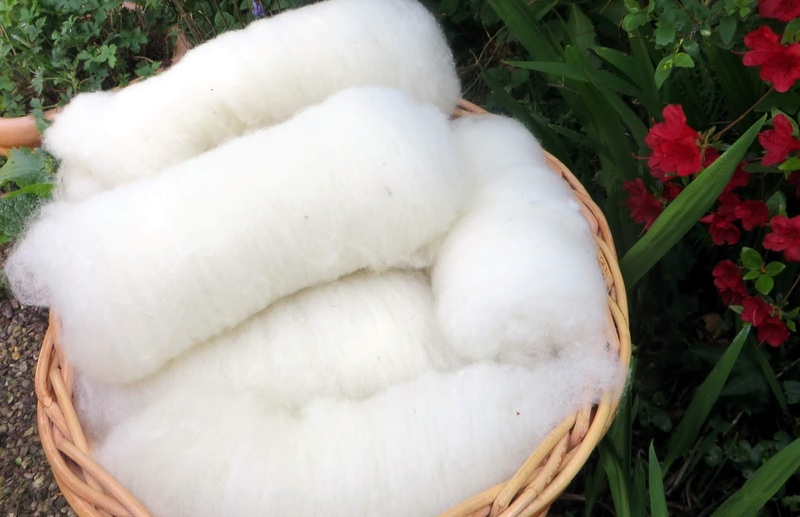 I shall get it carded and then hand spin some, as well as grab my dye colours to make some unique yarn. 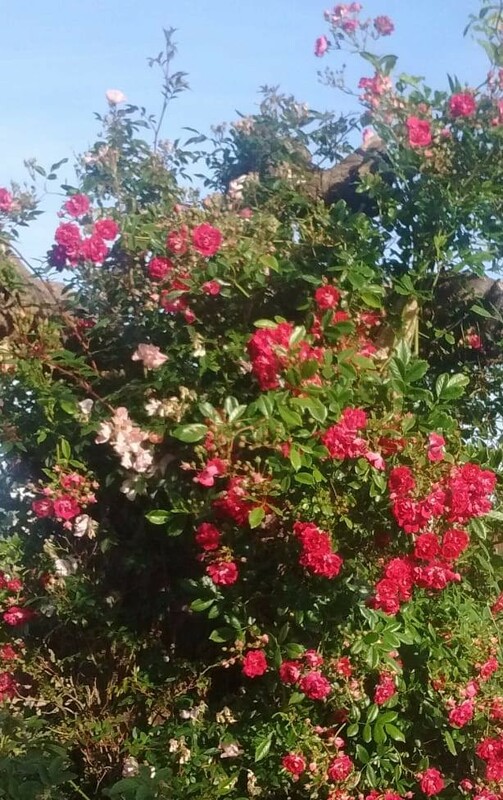 The rambling roses on our old cherry tree stump have mixed themselves up in a pleasing jumble of pale pinks and magenta, add in the shades of fresh green and a summer blue sky- a feast for the eyes! 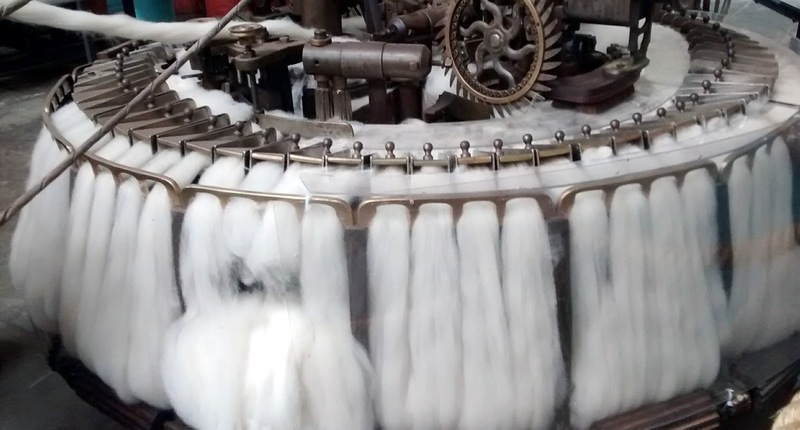 giving me a template colourway for weaving some cloth. Deep purple with red is bold and looks great in a hand knitted accessory. 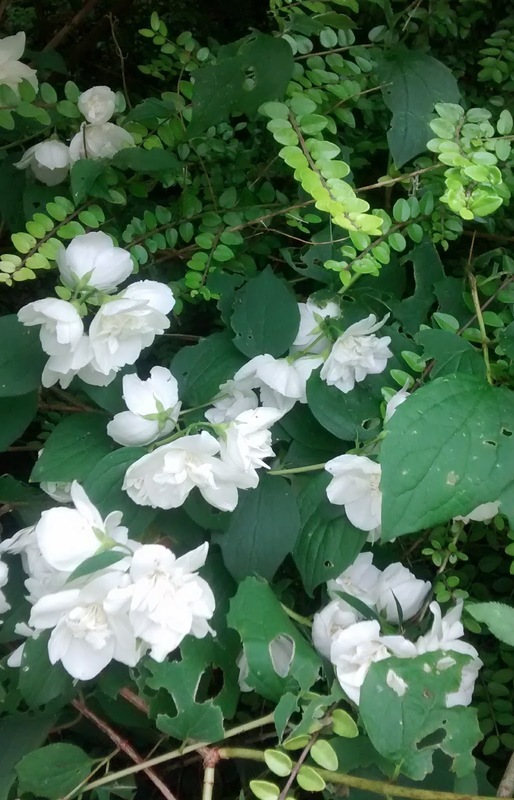 Remembering green (as in Nature) balances the combination. Soft greens and whites makes for a soothing colour palette, great for knitted and woven homeware. 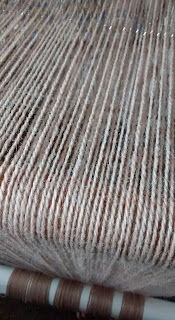 Natural tones with highlights of neutral shades are perfect to use when wanting to pay attention to detail and textural structuring. 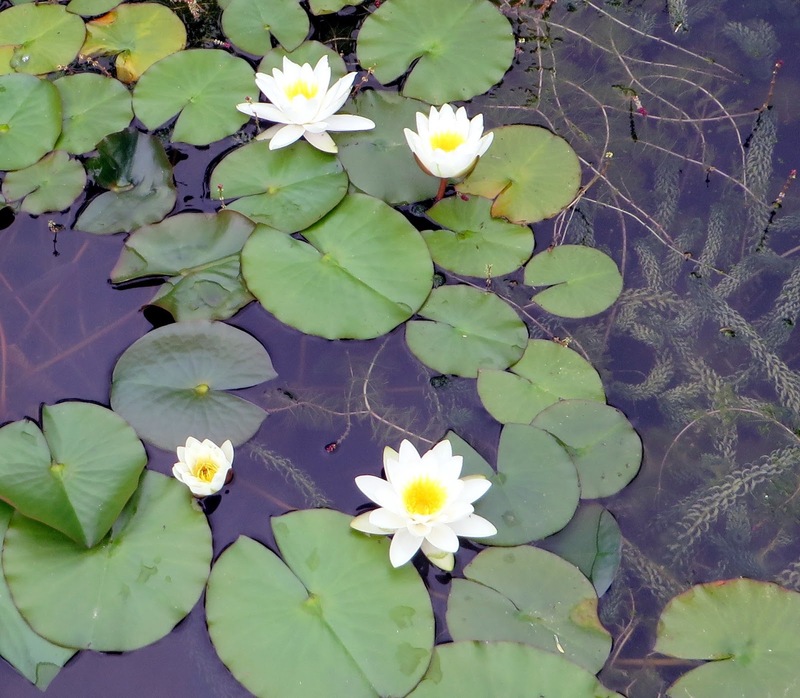 Using photos is a great way to quickly note, collect and capture an idea for a project. 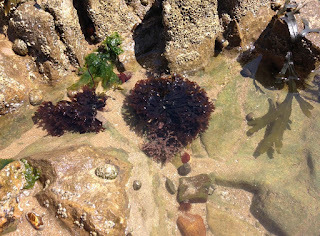 When we pop over to the Mainland, we like to find places to visit that inspire our own creativity. 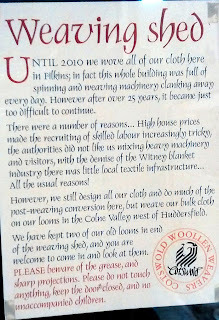 You can find out more about this super little mill on their website, link above. It was really interesting to see the old carding rooms and some beautiful pieces of kit for the preparation of the wool for spinning and weaving. However the Mill no longer processes fleeces, but rather buys dyed wool in as Tops and then uses a variety of different machines to blend and spin their own yarn to sell and to weave with. 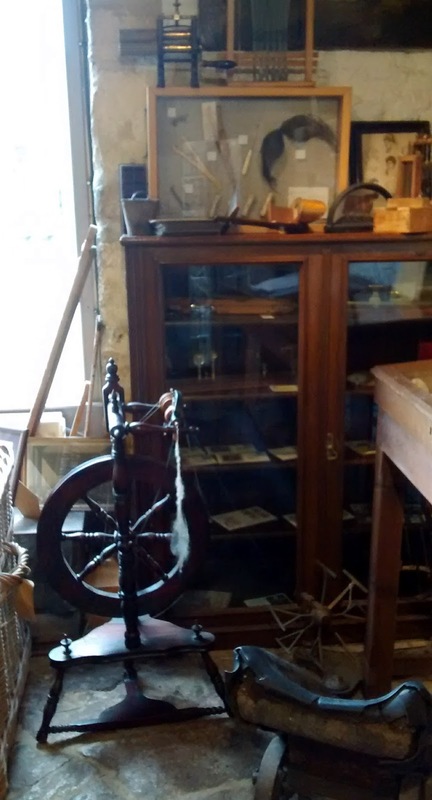 Spinners and Weavers offer a nice demonstration and talk to show the visitor how the wool is taken through each stage from spinning, skeins, cones, warping and weaving. In the Weaving Mill there are three floors to discover and plenty to see including ancient looms and wheels. 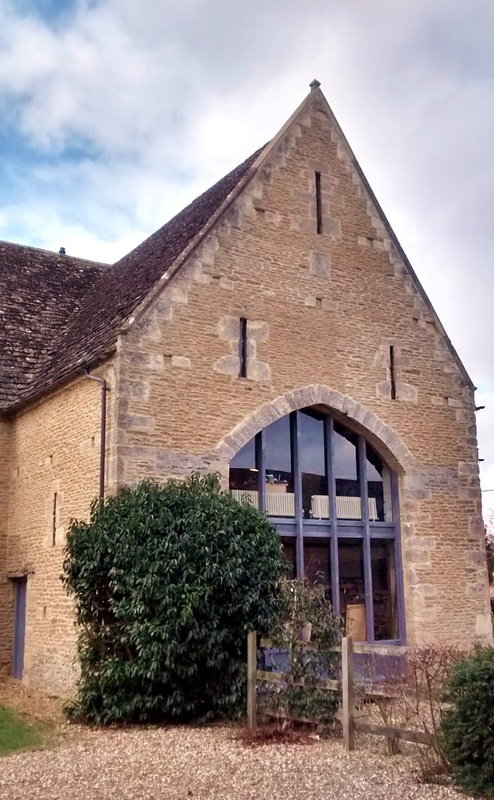 On site there is the water wheel, gardens, walks, café and shop and the steam furnaces that used to power the machines, On some special dates each year they hold "Steam Up Days" when these furnaces are powered up. 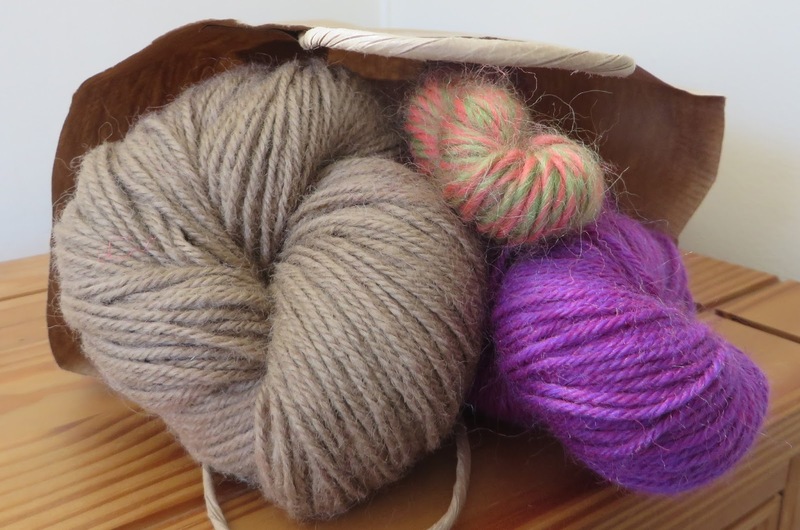 A few Stash Treats from the shop at the end of our visit, I will really enjoy weaving something special on my own loom with these yarn! 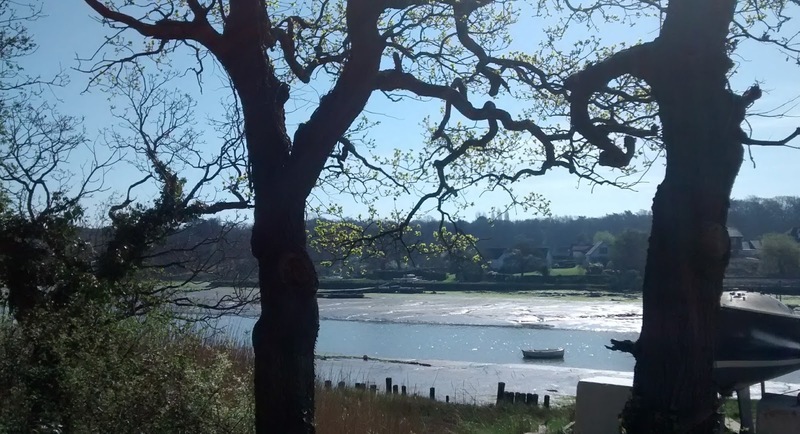 A View of Wootton Creek at Low Tide. 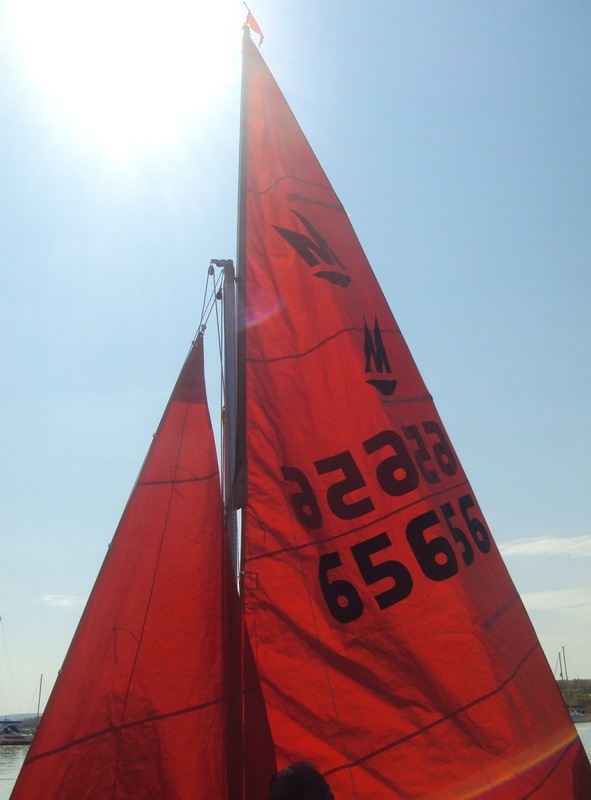 With better weather finally arriving on the island, our sailing season begins. But we are not ready!! 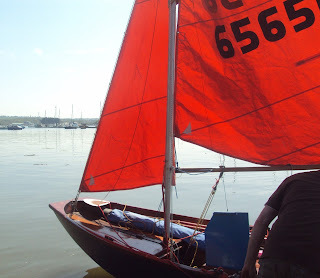 This winter we had to leave our two dinghies down at the river's edge on their plots in the dinghy park as our road trailer has broken, so we were not able to tow them home to overwinter in the shelter of our garden. This isn't usually a problem as we have left them down to overwinter at the river before in case we wanted to use them. 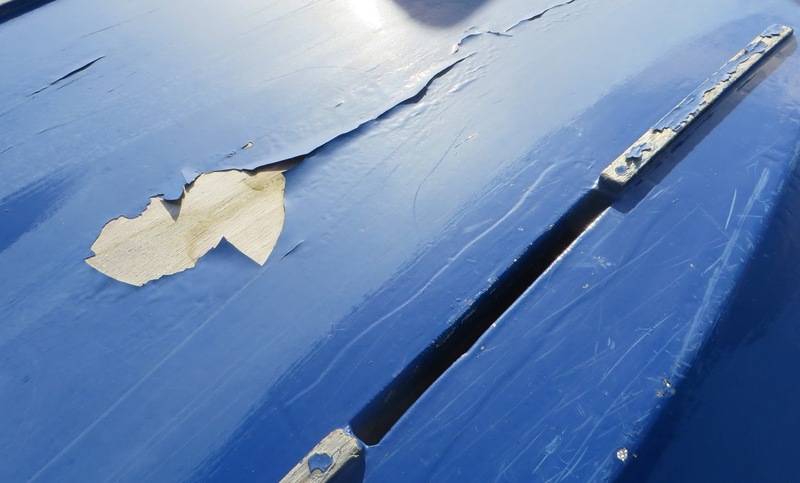 But this winter has been particularly bad and it has taken it's toll on our poor little boats. They both look very sorry for themselves. Our Mirror dinghy has the added problem of it's launching trolley wheel has a puncture, along with it being full of rain water and generally soggy. 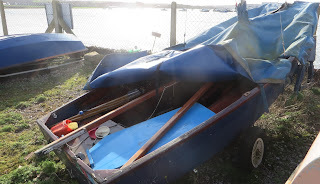 Poor little Peewit had to be turned upside down mid winter as her boat cover ripped in the winds. 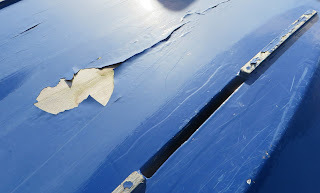 This has meant her paintwork on the hull has cracked and is flaking off, but thankfully she is sound. 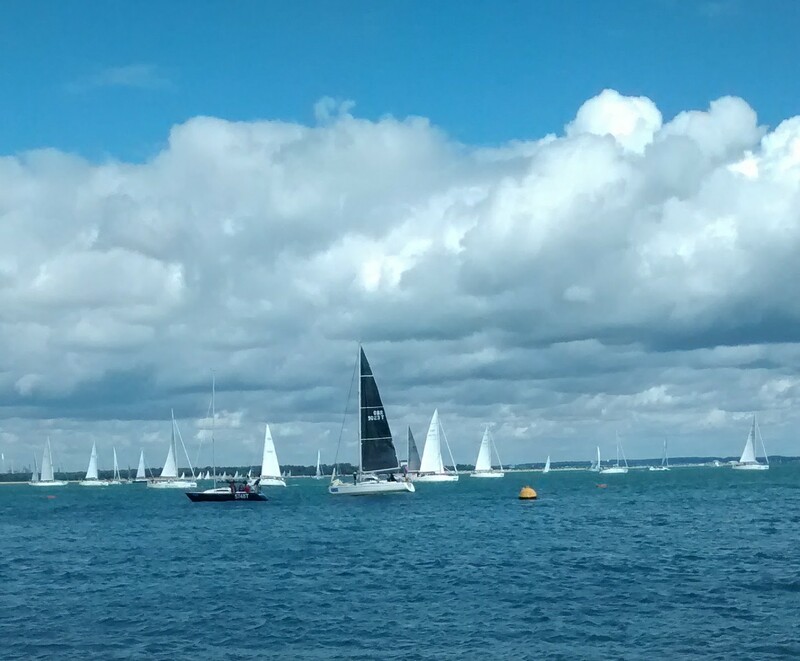 So Skipper has his work cut out to get these two back on the water. 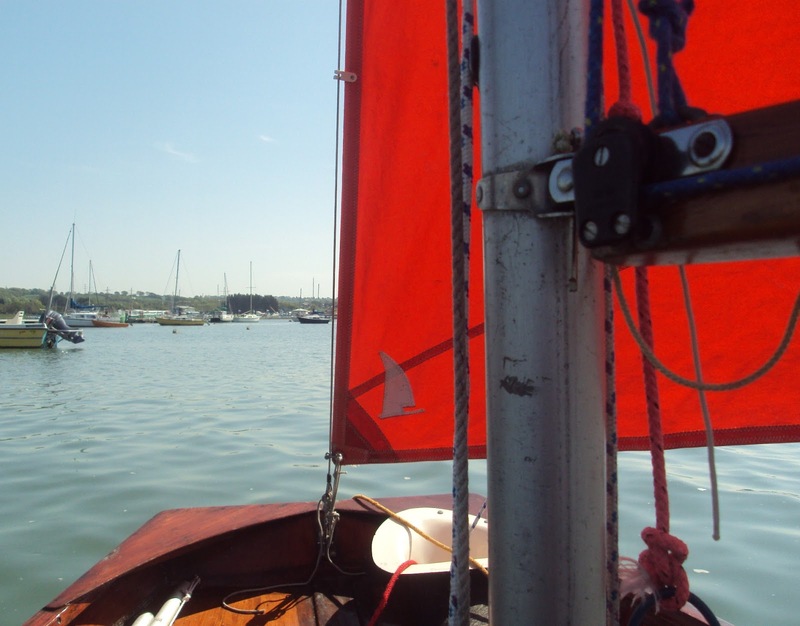 Rigging, sails, boom, gaff and all the bits and bobs to fit out both dinghies are safely stored at home. 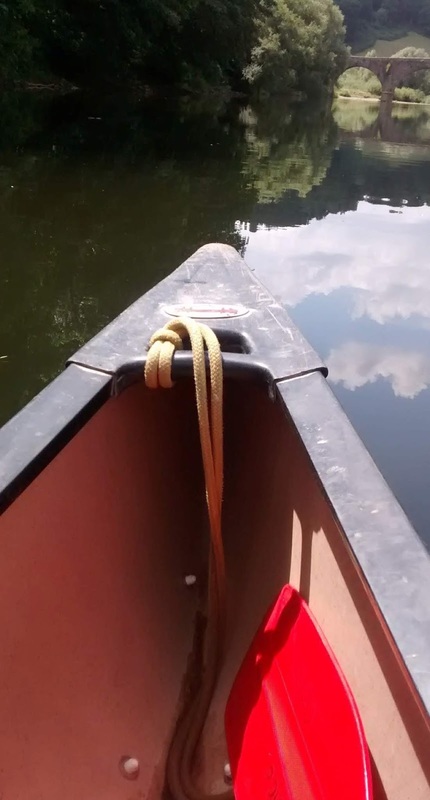 I shall gather everything together, check the sails and sheets and make some sandwiches, add a flask of tea, a slice or two of cake and together we will spend some time down at the riverside getting our two little boats ship shape for the season. 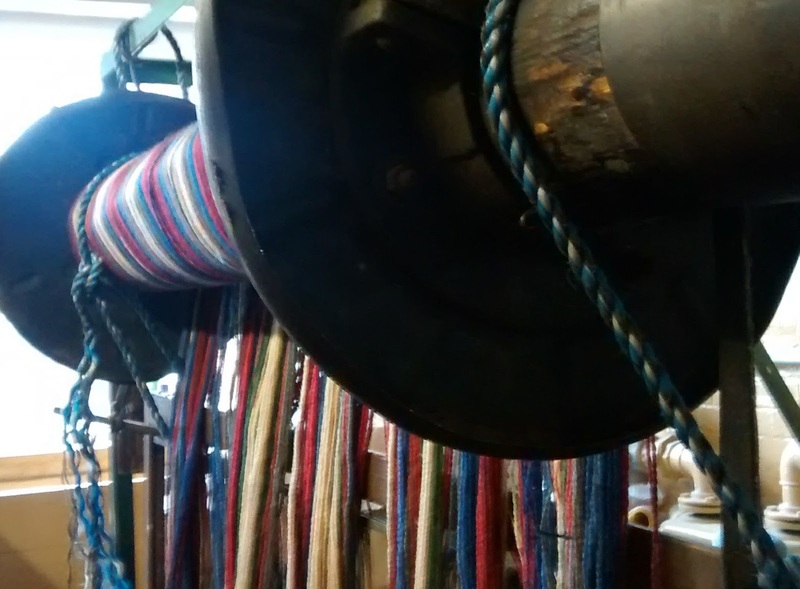 Being able to view some old looms close up was great. 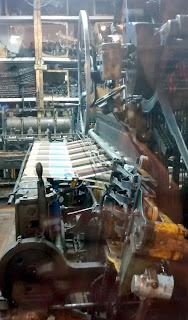 I particularly get excited when I see wonderful old wooden looms. 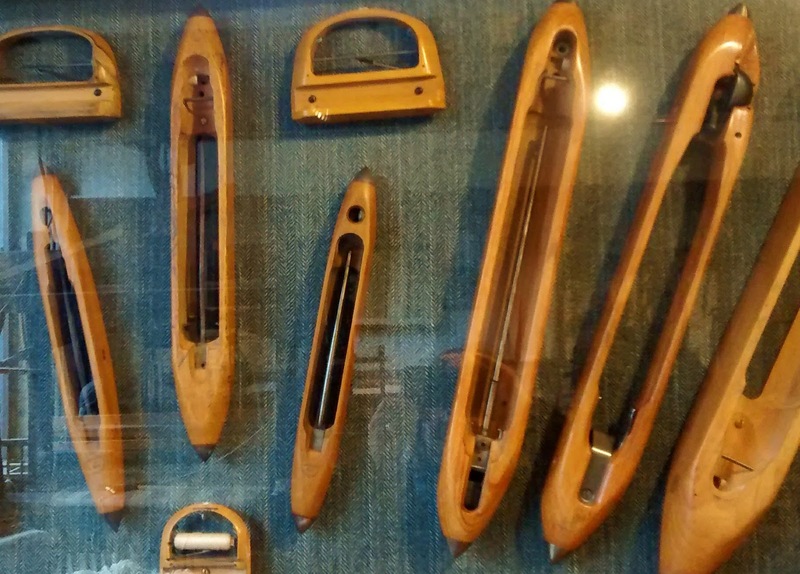 This is a beauty, it is so lovely to get up close, wander around having the museum all to ourselves. 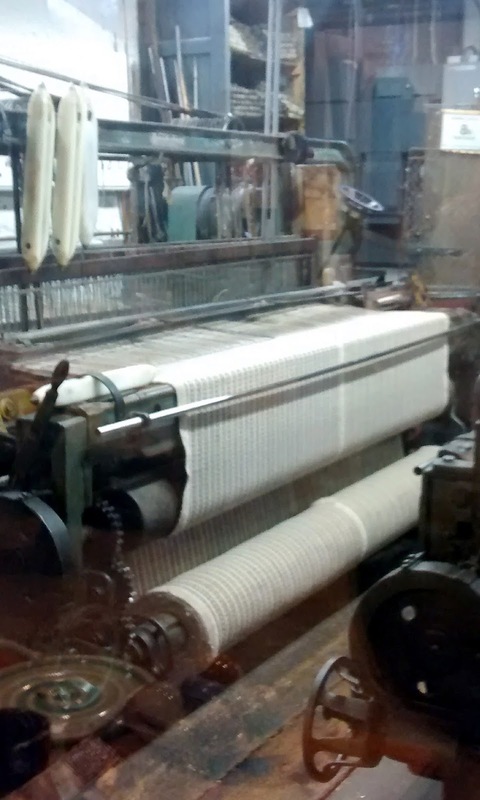 Here you can see the Woven Cloth on the Loom, a packed room of woolly weaving goodies! Spinning Wheels and all Woolly Weaving Paraphernalia! Close up view of the Warp Threads, Heddles, Reeds on the Loom. We like holidaying out of season and on weekdays it's an ideal time to relax and potter around.